The Beatles vs. The Rolling Stones. The debate has been raging for decades, and it will never die. The two iconic British invaders are inextricably linked in history, influencing and rivaling each other in near equal measure. The Beatles may be the most celebrated rock band ever, but the Stones are the “Greatest Rock ‘n Roll Band in the World.” It’s like a battle of champions in sports, but without any rules or a scoreboard. So let’s approach this as if it were a sports series—an old-school, best-of-five, winner take all. Innovation: Pioneering achievements that paved the way for others to follow. Doors the band opened that perhaps otherwise would have remained closed. Best Peak Work: When they were both at their best, who was better? It’s the inverse of durability. Durability: it’s not just peak performance that matters in assessing the importance of an artist but how their art withstands the test of time. Diversity: Having a sound is important but a measure of greatness is the breadth of their catalogue and not just a single or even handful of signature characteristics. OK, enough with the preamble and rules. let’s get this show rocking. This seems to be a slam dunk for The Beatles. Just their studio innovations alone could fill a book. 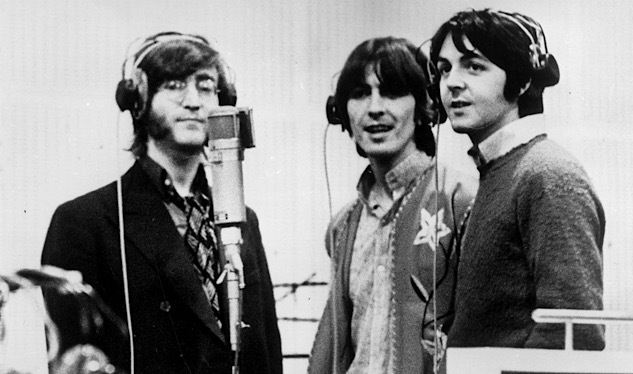 They had the crudest instruments to create their sonic masterpieces, but in the spirit of how Isaac Newton invented integral calculus to prove the laws of gravity, The Beatles pushed their engineers and producers to pioneer double tracking, back masking, feedback, multi-tracking audio loops, stereo, overdubbing, distortion and on and on. Nearly every modern stereo recording technique grew from The Beatles’ innovation. They also were the first studio band, first to print lyrics on an album, first to popularize non-pop/hit (meaning FM) radio, pioneers of the rock concept album (even though their label, EMI, hurt the concept by stripping Sgt. 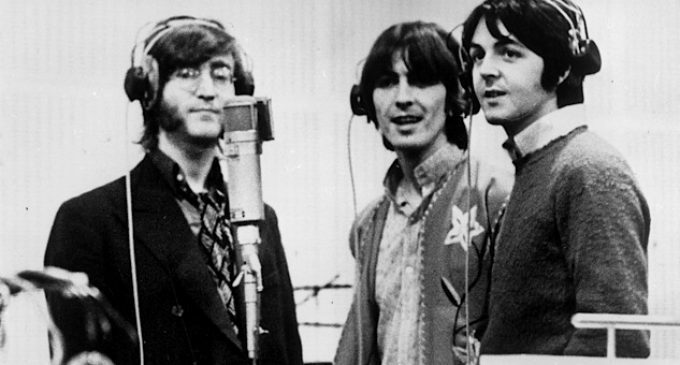 Pepper’s Lonely Hearts Club Band of two key songs: “Penny Lane” and “Strawberry Fields Forever”), and the first to create a single with two “A” sides. They recorded the first satellite television broadcast, performed the first stadium show, made the first music video. And this doubtlessly leaves much out. So, easy win for the Fab Four, right? Not so fast. 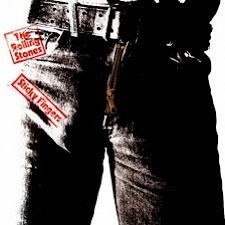 The Stones pioneered home-recording and the use of a mobile recording rig, developed a trademark logo that didn’t even include their name, reveled in being punks and rebels, did rock’s first unplugged (basically) album (“Beggar’s Banquet”), were the first group without their name on a record (in 1964), first to incorporate modern design into their record sleeves (with the 3D on Their Satanic Majesty’s Request and the zipper on Sticky Fingers), staged the first festival show headlined by a single group (OK it ended badly, but still), released the first rock live album to receive the same acclaim as studio efforts (Get Yer Ya-Ya’s Out), were at least arguably the first band to play into cyberspace, and had their own list of studio innovations though mostly for the type of instruments used (electric pianos, marimbas). The Beatles win here but it’s not a shutout. It’s hard to even imagine rock ‘n’ roll without The Beatles. Jimmy Page said, “If it hadn’t been for the The Beatles, there wouldn’t be anyone like (Led Zeppelin) around.” Even Keith Richards said, “The Beatles were the first to actually find that middle path between the artistic and the intellectual and at the same time still be on the street.” Every group in rock history is on at least one of those roads, all paved by the Liverpudlians. So it’s no surprise The Beatles have more than twice as many groups listed among those they “influenced,” either “directly” or substantively, as The Rolling Stones: 211, according to AllMusic, to the Stones’ 87. Let’s more closely examine the top 10 for each. Beatles: 10cc, Badfinger, Bee Gees, Cheap Trick, David Bowie, Donovan, Electric Light Orchestra, Harry Nilsson, Oasis, Supertramp, The Byrds. Rolling Stones: AC/DC, Aerosmith, Faces, Flamin’ Groovies, New York Dolls, Royal Trux, The Black Crowes, ZZ Top, Billy Squier, David Bowie. 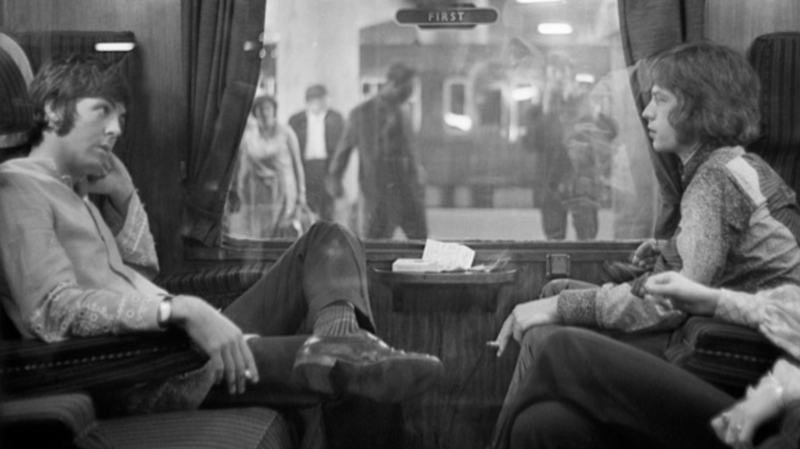 The Stones have, of course, outlived The Beatles by five decades, but their peak periods are nearly parallel. Even the worst Beatles albums are very good. If you go track-by-track and grade every cut on a 100-point scale and average them (I did this once), the best Beatles album grades out as A Hard Day’s Night. (Of course your mileage may vary.) If you are a Paul person (or don’t really know it), you’ll say Revolver. If John is your bag, you probably love Rubber Soul the best. If you want groundbreaking rock permanence, fine, Sgt. Pepper. Eclecticism, The White Album. Harmonic beauty and studio sophistication, Abbey Road. Now we have a series. Two games to one. Someone had to be up two games to one and it happens to be The Beatles. The Stones are in this! But durability? This does not sound promising. The Beatles were only a band for eight years, but they’ve maintained a hold on every generation that followed. Is it so shocking that the two best-selling vinyl LPs in 2017 overall (not just back catalogue) were Sgt. Pepper and Abbey Road? No Stones album charted. Yes, the 50th anniversary reissue of Sgt. Pepper obviously helped. But what explains Abbey Road? Furthermore, The Beatles notched their 32nd Top 10 album in any sales in 2016 with Live at the Hollywood Bowl, which peaked at No. 7. Their catalogue is worth more than the GDP of most countries. But The Stones have enjoyed 37 Top 10 albums after adding Blue and Lonesome, a covers LP, in late 2016, which peaked at No. 4. This came more than 10 years after their last studio release, A Bigger Bang, which sold only 9,000 more copies in its first week of release. 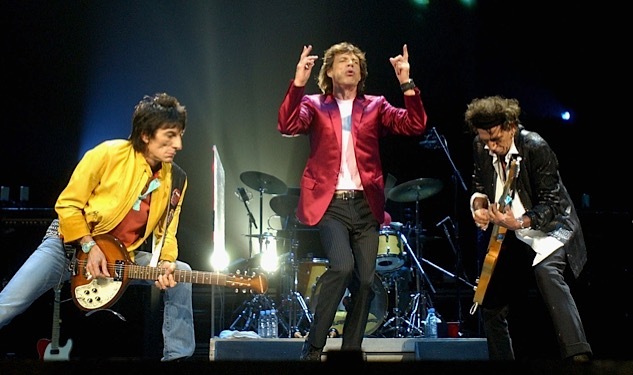 Fifty-six years since forming, the Stones are still playing to sold-out crowds in the world’s biggest venues (like, right now). Keith Richards is not just merely still alive. How can anyone get the edge over The Rolling Stones in durability? Just staying together, especially Jagger and Richards, for more than half a century is mind boggling, especially when you consider that The Beatles couldn’t even last a decade together. I feel I can guarantee that people will be playing Beatles music for as long as we survive as a species. I’m a little less certain of that when it comes to the Stones. So we’re going to have to call this: tie. The Stones can’t win but they can tie. This is a fair category since the Beatles had a seven-year recording career and just 213 original songs they actually released in their time. The Stones have been recording for exactly 213 years. The Beatles’ evolution over a relatively brief recording career is the most earth-shattering in the history of rock ‘n’ roll. It’s nearly impossible to even fathom that the group that released “I Wanna Hold Your Hand” in 1964 could in just three years record “Strawberry Fields Forever” and “A Day in the Life.” That “Hey Jude” and “Revolution” could be on the same single is as insane now as the day in 1968 when Jagger and Richards heard the acetate in a London club and realized that the ground they thought they’d made up with “Jumpin’ Jack Flash” was lost. Drown in your beers, boys. It’s a closely contested series, but when the buzzer sounds it’s The Beatles (Innovation, Inspiration, Diversity) over The Stones (Best Peak Work—no small achievement—and the push on Durability). Stay tuned for the rematch. The BeatlesThe Rolling StonesWho's Better?